We’ve written about Jordan a few times before and showcased what this middle-eastern country has to offer alongside Petra, its crown jewel. 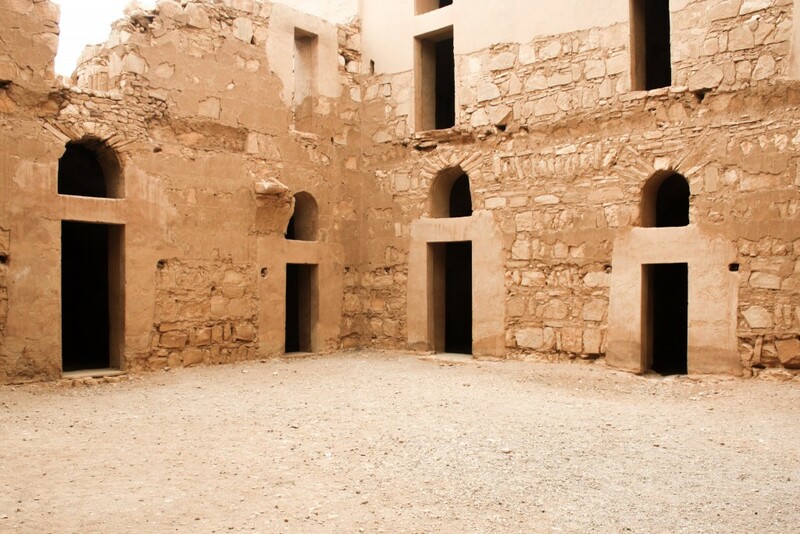 Today, we’re adding another must-do activity to the list from our trip to Jordan, the desert castles. 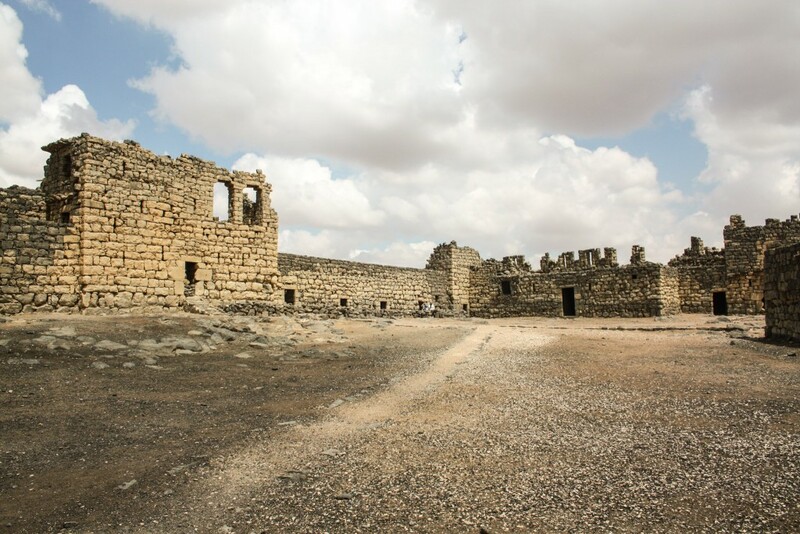 Scattered in the desert, east of the capital Amman, the desert castles are a group of different early-Islamic structures. Most, in fact, are not even castles as they were not built for such purpose. 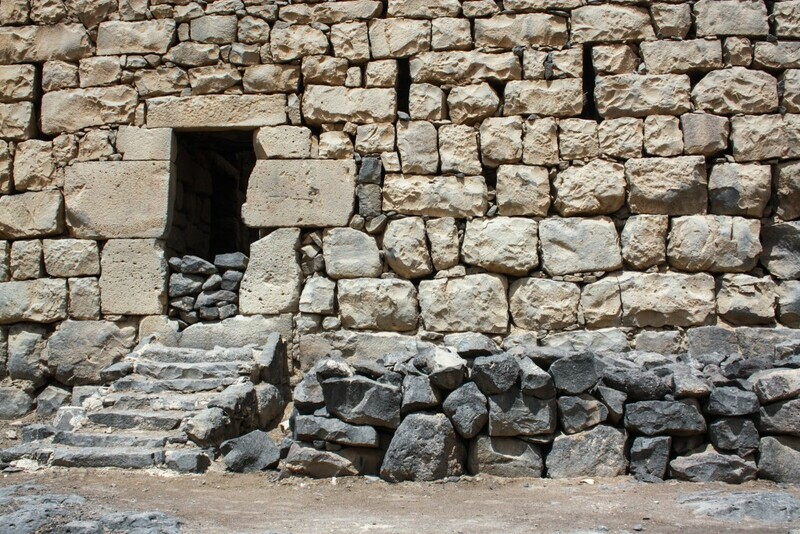 These structures are amongst the oldest in Jordan, dating from the 7th century, and had multiple uses, such as hunting lodges, caravan stations and trading centres. 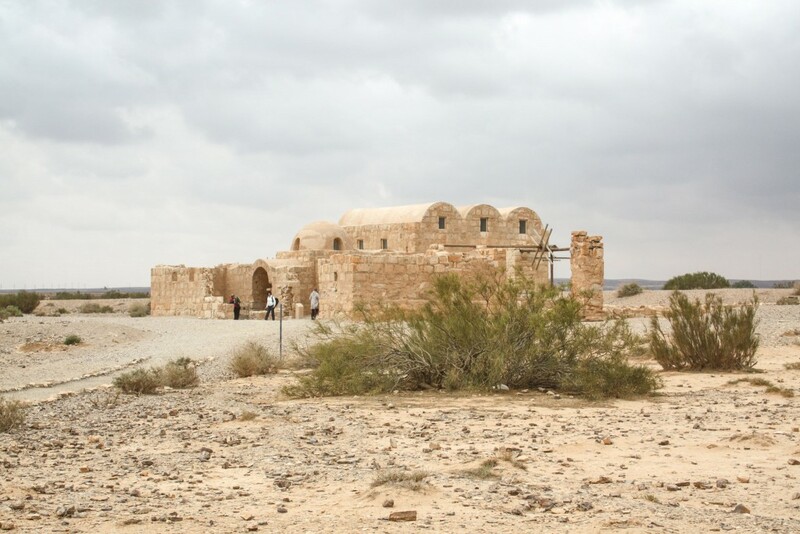 We had the opportunity to visit three of the desert castles, Qasr Kharana, Qasr Amra and Qasr Azraq, as a half-day loop trip from Amman. Roughly 200 km through the desert, but surprisingly cold for a late spring morning. Let’s find out a bit more about them. The first stop of the day was at Qasr Kharana, one the most-visited desert castles and a remarkably well preserved one. After a brief explanation from our guide, we were free to roam around this 2-floor “castle”, which had no military significance and was most likely used as a caravan stop. Despite being right next to the highway, the only things in the vicinity are power lines, making Qasr Kharana stand out from the desert landscape with its square shape, only 35 m wide. Inside, there’s a central courtyard from where all the main rooms connect and the second floor can be accessed. It’s important to highlight the arches on top of every entrance and the layout of the rooms, connecting to others, almost like small apartments. 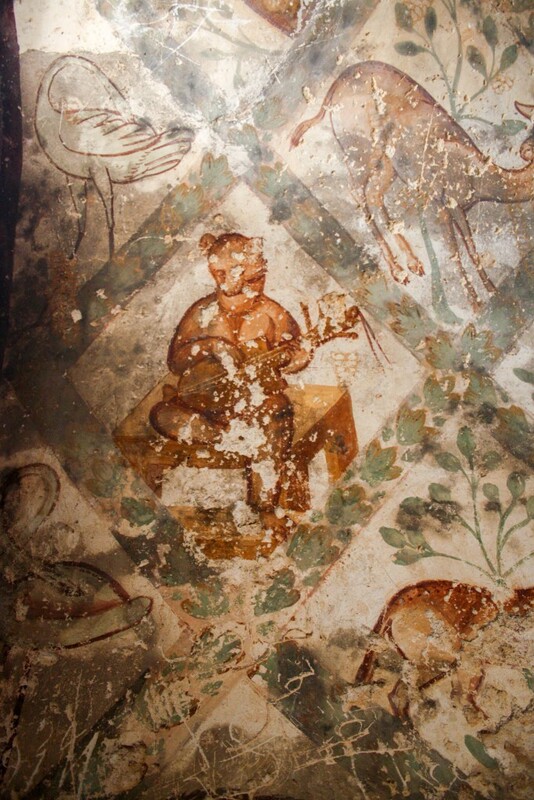 Ancient Arabic graffiti can be found in some of the rooms. Very close to Qasr Kharana is Qasr Amra, the second desert castle we visited. Nowadays, only a small part of what once was a larger complex with an actual castle remains. It may not sound very interesting, but it’s actually the other way around. 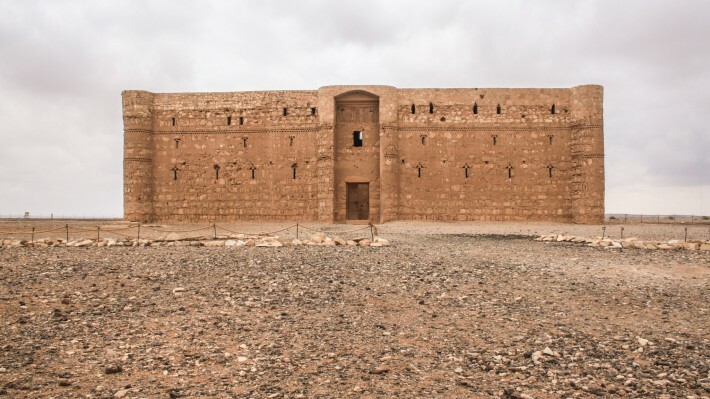 Qasr Amra is of utter importance due to the frescoes on its walls and ceilings, which led to it being recognised as a UNESCO World Heritage Site. 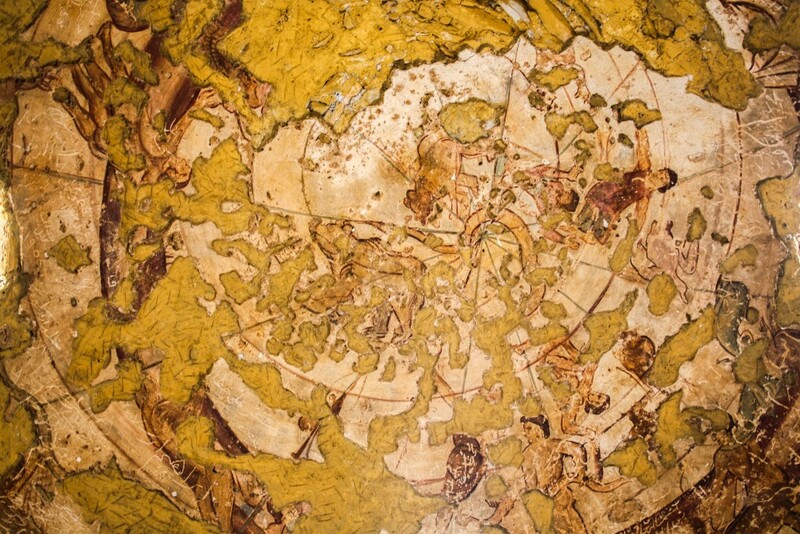 The frescoes are a fine example of Islamic art and depict hunting, naked women and the zodiac. The details are superb, even as seen from non-expert eyes like ours. Another thing worth mentioning is that when we visited, there were a few specialists doing important conservation work. 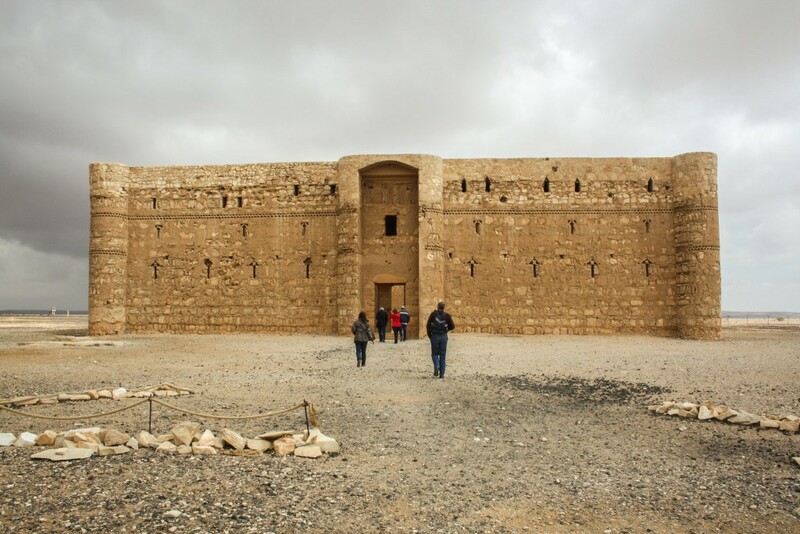 Qasr Azraq was the third and final stop of our desert castle loop. Shortly before getting there, one thing that caught our attention was the big military base. Jordan has a very important position with nearby countries such as Syria, Saudi Arabia or Iraq. Of the three desert castles we visited, this is the one that resembles the most to an actual castle or fortress, and by far the biggest. 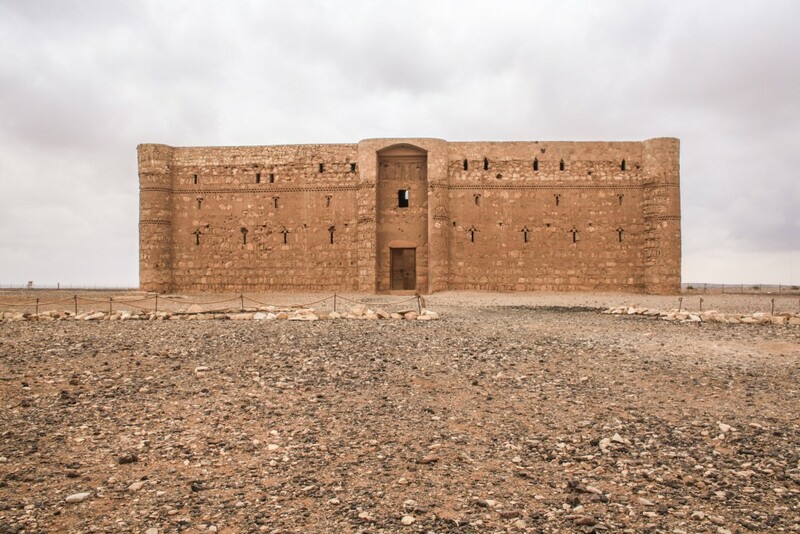 Another difference is that Qasr Azraq is located within the limits of a town – Azraq, thus with a very different settings comparing with the other two. Plus, the stone colour is of a distinctive basalt black tone. 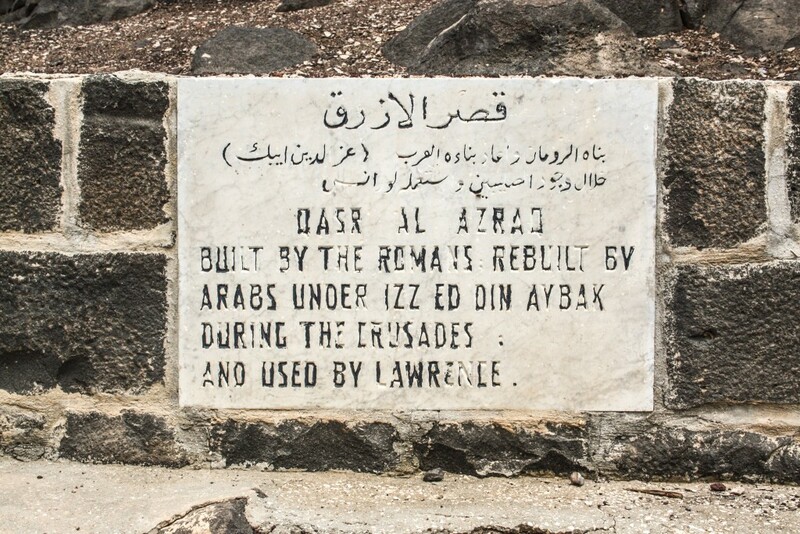 The location of Qasr Azraq was strategically very important due to its proximity to the Azraq Oasis, the only water source in this desert region. Throughout the centuries, it was occupied multiple times and used for military purposes. Lawrance of Arabia was the most recent and famous “tenant”. The plaque outside the castle sums the long history of the place in just a few words. The big central courtyard is where we spent most of our time and gives access to some of the few rooms that exist and to the upper level. Not much to explore in great detail, but overall an interesting structure. After three desert castles, we made our way back to Amman and onwards to the Dead Sea, but that’s a story for another time. Have you been to the desert castles? What a cool thing to do. It would be fun to walk through the castles and pretend what it must have been like to live there in the desert climate. Mustn’t have been easy! Would be cool to know exactly how life was back then. I have not but I learned something new from your posts. 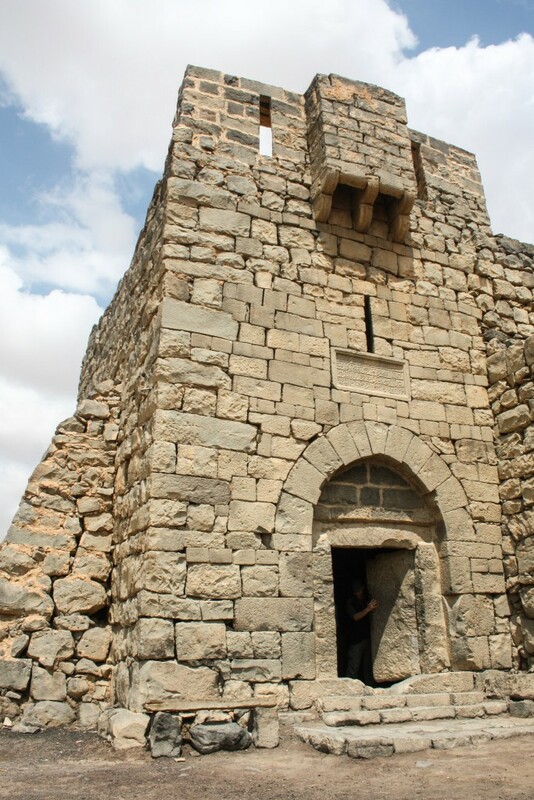 Was not even aware of any of these castles in Jordan. They sure don’t look like our fairy tale version of castles, but interesting for sure. Thank you, Melody. 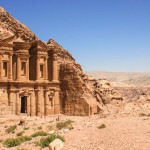 They are not as popular as other attractions in Jordan, but still interesting places to visit! The castles, way-stations, or inns (however they might be described), look fascinating. I saw a few in my time in Jordan when I was cycling there. It’s only after spending a few days in the desert, you realise the absolute importance of what at first seem random, isolated places. It also helps to explain the great Arab tradition of hospitality to strangers. You’re right. They are not random at all. One of the things we enjoyed the most was learning about their history. They are really beautiful and look a bit like from a different world! I have to write down these names, because I’m planning to visit Jordan next year, so thanks for some inspirations! Indeed! 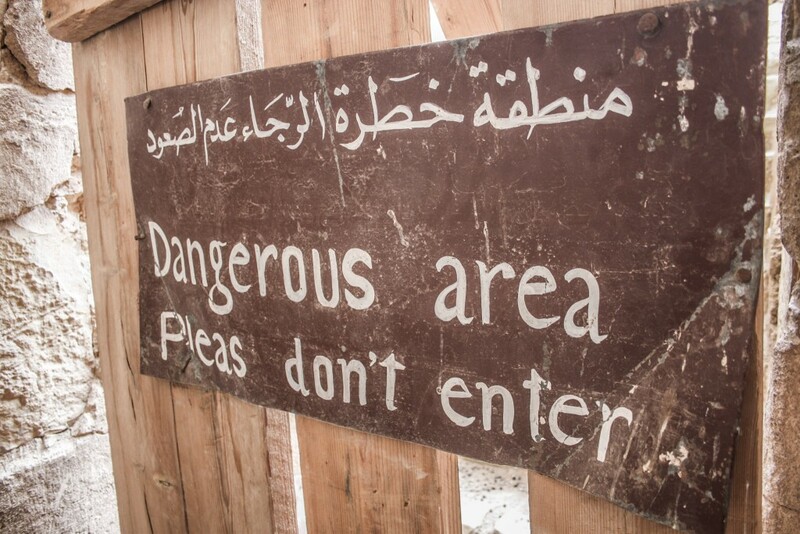 Great to hear that you’re planning to visit Jordan. Let us know if you have any questions. Beautiful! I have been to Jordan many times sometime for work there’s for vacation but never visited these three Castles, what s great discovery! I haven’t been to any desert castles, but would love to visit Jordan and explore a few. The structures look fascinating and the frescoes look beautiful. Thank you for the suggestions. 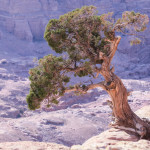 Jordan is a great place to visit and doesn’t consume much time. 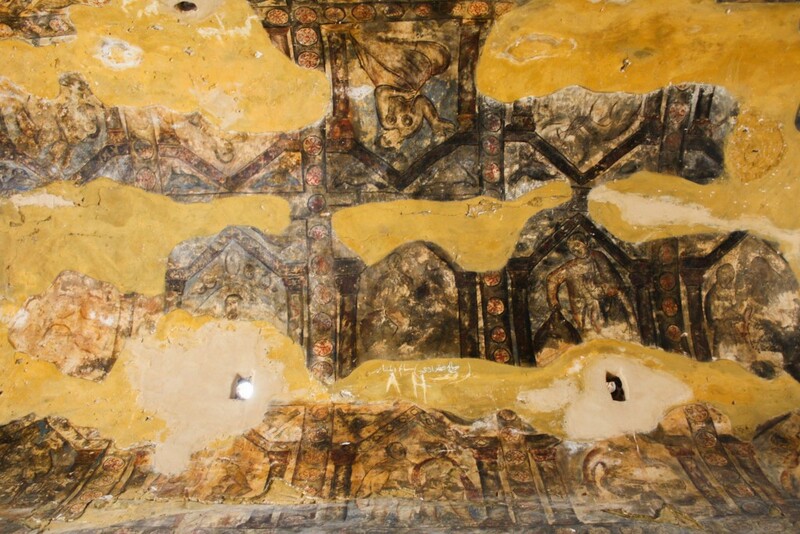 The frescoes are one of the reasons for it being World Heritage! spectacular photos. I am so amazed that there is literally nothing around these at all! I am dying to get to Jordan. I will pin this for my someday hopeful trip! I’ve heard of Petra of course, but none of my friends who have visited Jordan ever mentioned desert castles. They look pretty desolete now, I wonder if it was much different back in the 7th century. Don’t believe they were much different in terms of content or decoration. Pretty simple affair. These don’t usually make it to the main Jordan tour unless you stay for a week or so. Jorden alwasy makes me feel amused with its so many gems. All nice pics. Keep it up.